Skate wheel models are available with either free running PVC or bright zinc plated skate wheels. 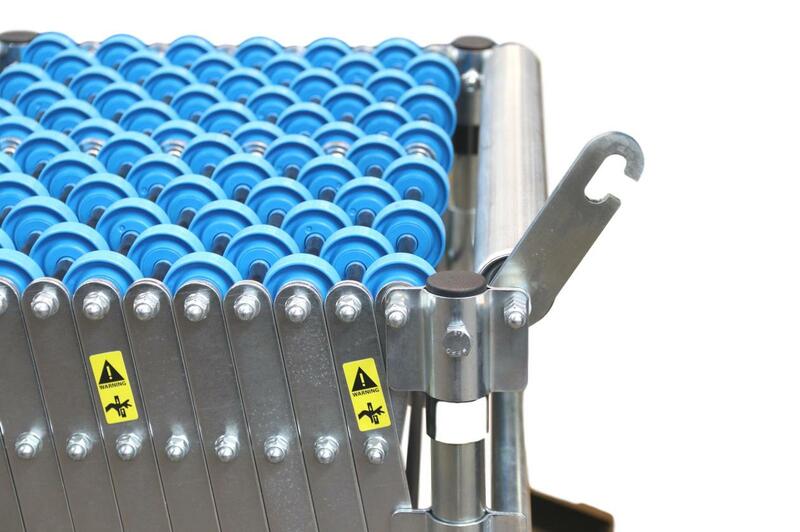 Suitable for conveying loads with good semi rigid flat bases. 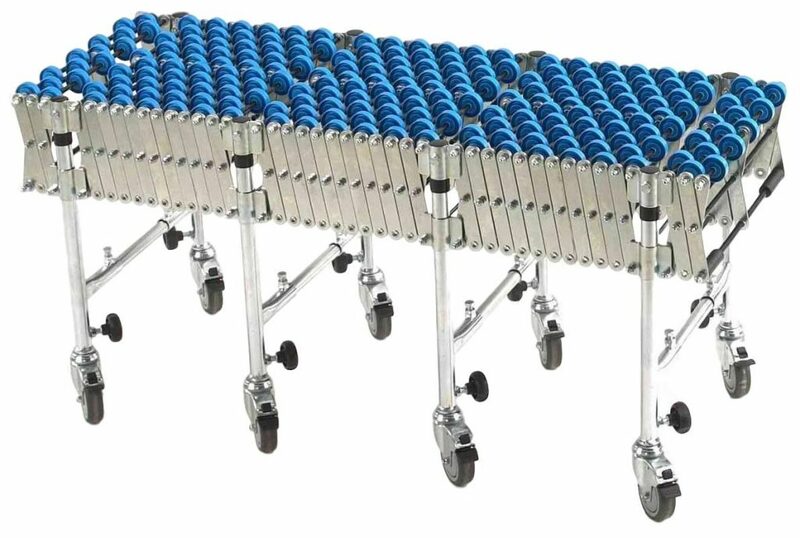 The nature of skate wheel rollers, allows loads to track well throughout the length of skate wheel conveyors, in addition to providing a low point of inertia and quick rotation speed. 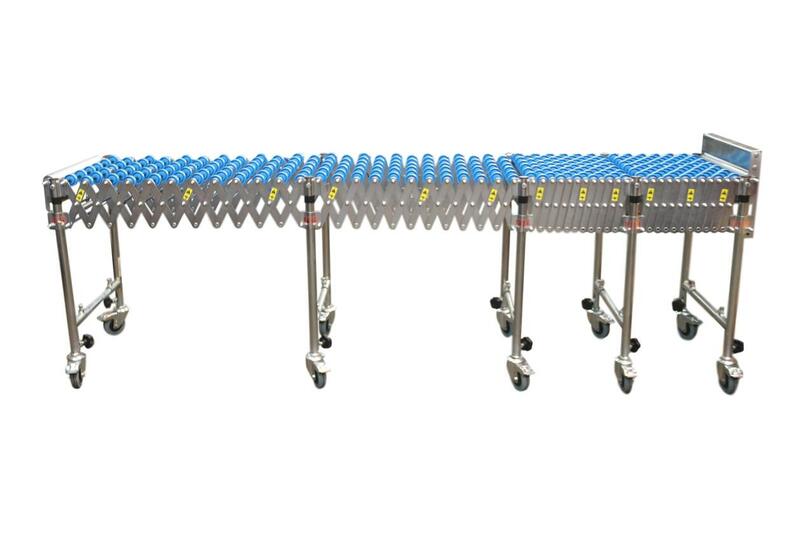 Skate wheel conveyors can form tight turns and close up to less than one third of their open length. 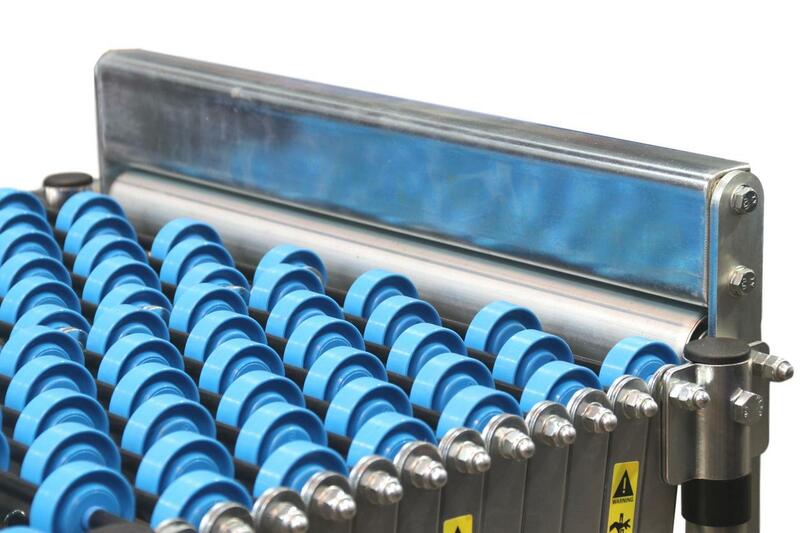 Straight roller models are available with either free running PVC or bright zinc plated rollers. Roller models are suitable for conveying a wider range of loads in addition to closing up to less than one half of their open length. 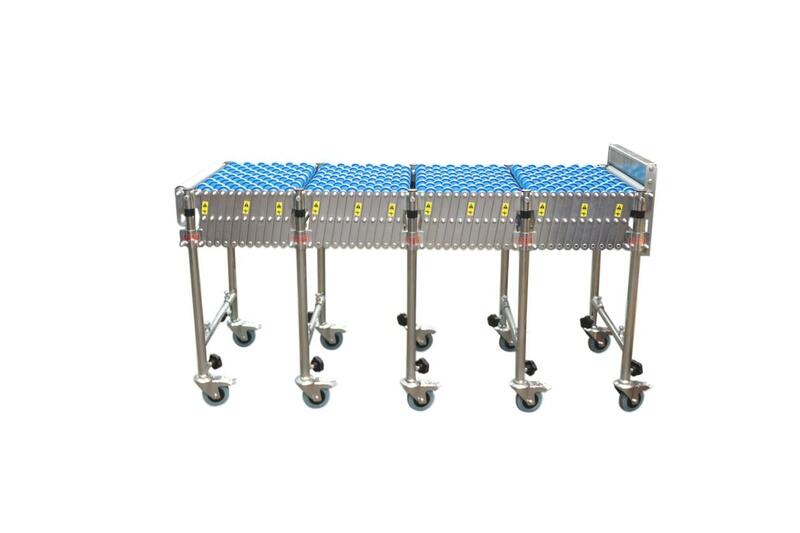 Heavy duty flexible conveyors are available in similar design. Heavy duty versions incorporate diagonal knee braces in addition to 9 or 12 axles between stands for reduced section lengths and increased strength. Castor wheels are also upgraded from 100mm diameter upto 125mm diameter. 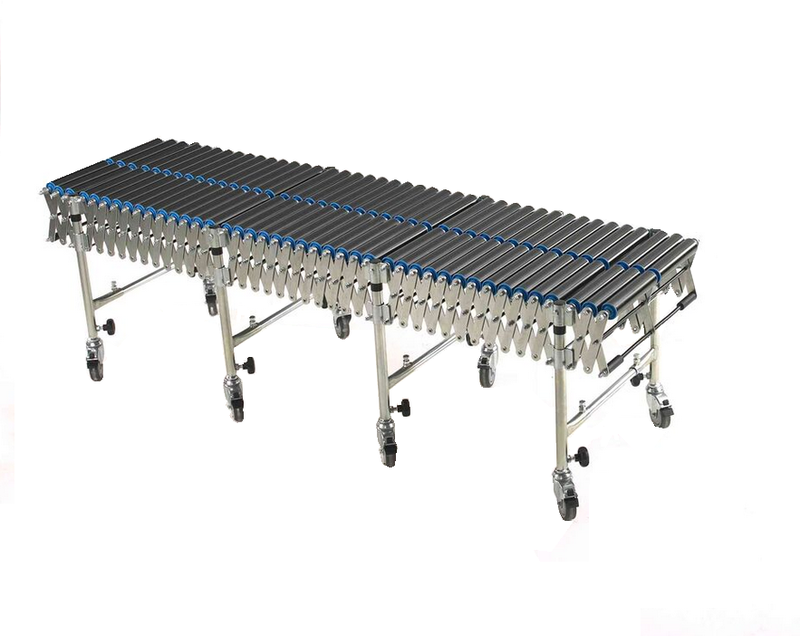 Connect multiple flexible conveyors 'back to back' or to standard gravity roller conveyors, belt conveyors, powered roller conveyors and loading / unloading conveyors. 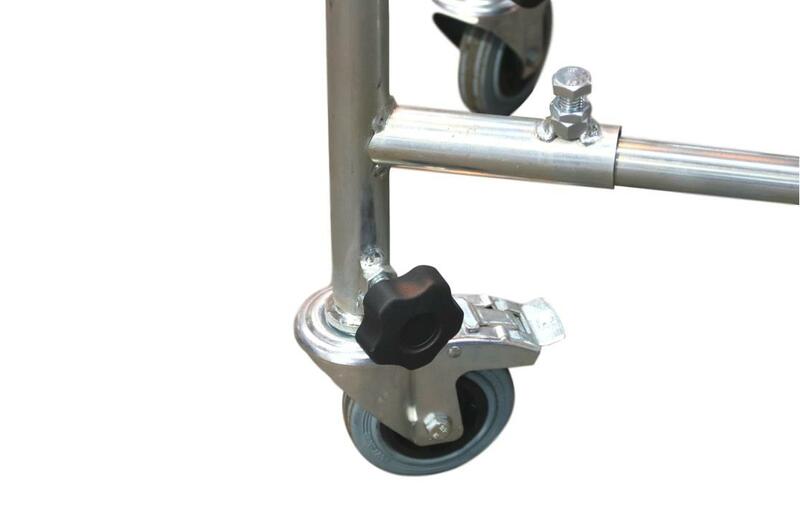 Mobile support frames as standard supplied with 100mm swivel braked castors. Quick release telescopic support frames for improved set up times. Package end stops, providing a supportive plate to arrest products end of line. End stop rollers are also available in addition to drop down end stops for added versatility.